Description: Me&My Big Ideas Stickers have become a staple in every scrapbook. They are acid-free and lignin-free. 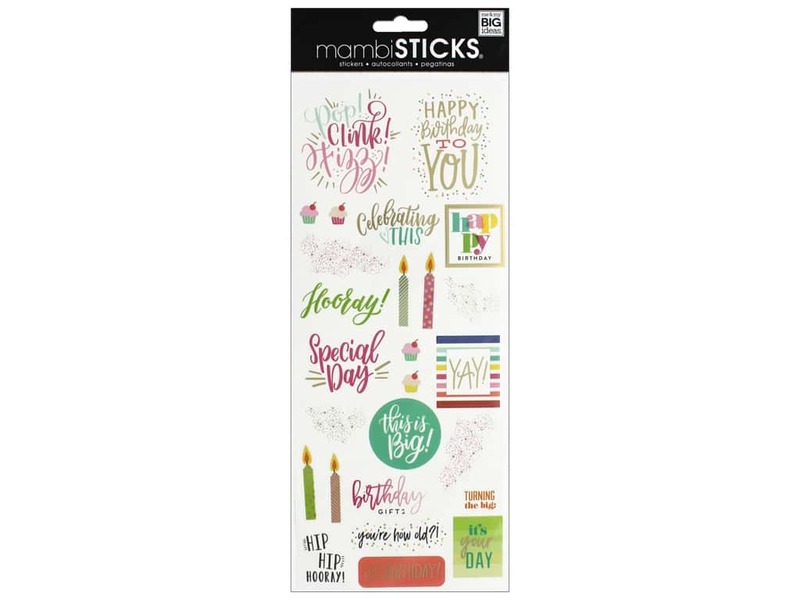 Sticks Specialty Happy Day- Over 25 stickers that include candles, sparkles, cupcakes, captions of Hooray, Birthday Gifts, It's Your Day, and more. Has gold foil accents. Largest measures approximately 2.5 in. x 2.75 in.